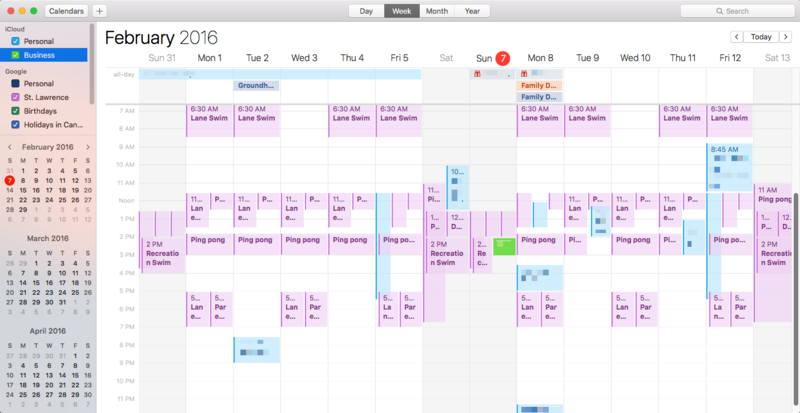 Calendar (formerly iCal) has become increasingly stubborn about the number of days shown in the Week view. In OS X 10.7 and earlier it was possible to expose a Develop menu to bump the week view to my preferred 14-day range, but that went away in 10.8. You could still defaults write your change, but sometime between 10.8 and 10.11 that stopped working too. defaults delete com.apple.iCal "n days of week"